There are four types of elections in Spain: general elections, elections to the legislatures of the autonomous communities, local elections and elections to the European Parliament. General elections and elections to the legislatures of the autonomous communities are called after the mandate of the national or regional legislature expires, usually four years after the last election, although early elections may occur. Elections to local councils (municipal, insular or provincial) and to the European Parliament are held on fixed dates. For most elections party list PR is used, but the plurality system is used for the Senate. Evolution of popular vote in the Spanish General Elections from the democratic transition until 2008. Voter turnout is usually high. General elections are elections held for the national legislature, which is called in Spain Cortes Generales (literally "General Courts") and consists of two chambers, the Congress of Deputies (Congreso de los Diputados) and the Senate (Senado). The Congress and Senate serve concurrent terms that run for a maximum of four years. The Congress is composed of 350 members directly elected by universal adult suffrage for a four-year term of office. Each one of Spain's fifty provinces is a constituency entitled to an initial minimum of two seats; the cities of Ceuta and Melilla elect one member each. The remaining 248 seats are allocated among the fifty provinces in proportion to their populations. Parties, federations, coalitions and agrupaciones de electores (electors' groups) may present candidates or lists of candidates. The lists are closed, so electors may not choose individual candidates in or alter the order of such lists. Electors cast a ballot for a single list, or for a single candidate in Ceuta and Melilla. The seats in each constituency are apportioned according to the largest average method of proportional representation (PR), conceived by the Belgian mathematician Victor d'Hondt in 1899 (d'Hondt method). However, in order to participate in the allocation of seats, a list must receive at least three percent of all valid votes cast in the constituency, including blank ballots. The single-member seats in Ceuta and Melilla are filled by the plurality or first-past-the-post method, under which the candidate obtaining the largest number of votes in the constituency is elected. The proportional allocation of seats in each constituency appeared to favor the major parties in general and specifically the majority party. The system for electing the Senate was first used in 1979, though with regard to the provinces the system is unchanged since 1977. Senators are elected directly from the provinces and indirectly from the autonomous communities; currently, there are 264 senators, 208 directly elected and 56 indirectly elected. In the provinces, a majoritarian partial block voting system is used. All peninsular provinces elect four senators each; the insular provinces (Balearic and Canary Islands) elect one or three senators per island, and Ceuta and Melilla elect two senators each. Parties nominate three candidates; each voter has three votes (fewer in those constituencies electing fewer senators) and votes for candidates by name, the only instance of personal voting in Spanish national elections. The usual outcome is three senators for the party with the most votes, and one senator for the runner-up, except in very close races. 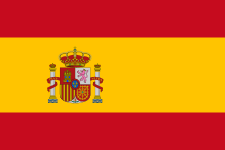 The autonomous communities receive one senator, plus one for each million inhabitants. They are entitled to determine how they choose their senators but are generally elected by the legislature of the respective community in proportion to its party composition. 1 2 People's Alliance 1977–1989. 1 2 Communist Party of Spain 1977–1985. 1 2 People's Unity 1979–1996. 1 2 Galician People's National Bloc 1977–1982. 1 2 Canarian Independent Groups 1985–1993. 1 2 CDC (2.8%, 11 seats) and UDC (0.9%, 2 seats) ran separately. Elections to the unicameral parliaments of the autonomous communities of Spain are held every four years. Thirteen of the seventeen autonomous parliaments (Aragon, Asturias, Balearic Islands, Canary Islands, Cantabria, Castile and León, Castile–La Mancha, Extremadura, La Rioja, Madrid, Murcia, Navarre and Valencia) take place the same day, the fourth Sunday of May of the year before a leap year; the last election was held on May 24, 2015. The other four communities can choose the date of their elections: the last elections in Andalusia and Catalonia took place in 2015; Euskadi and Galicia held elections in 2012. Elections in the municipalities take place in all the country in the same day as the 13 regional elections, in May of the year before a leap year. Last time was May 24, 2015. The laws regulating the conduct and administration of elections are laid out in detail in the 1985 electoral law. (Ley Orgánica del Régimen Electoral General.) Under this law, the elections are supervised by the Electoral Commission (Junta Electoral), a permanent body composed of eight Supreme Court judges and five political scientists or sociologists appointed by the Congress of Deputies. The Electoral commission is supported in its work by the Interior Ministry. On election day, polling stations are run by electoral boards which consist of groups of citizens selected by lottery. The format of the ballot paper is designed by the Spanish state, however, the law allows political parties to produce and distribute their own ballot papers, either by mailing them to voters or by other means such as street distribution, provided that they comply with the official model. The government then covers the cost of all printed ballot papers. These must then be marked by voters, either in the polling station or outside the polling station and placed inside sealed envelopes which are then placed inside ballot boxes in the polling station. Following the close of polls, the ballots are then counted in each individual polling station in the presence of representatives of the political parties and candidates. The ballots are then immediately destroyed, with the exception of those considered invalid or challenged by the candidates' representatives, which are retained for further scrutiny. The result is that full recounts are impossible. ↑ "General Aspects of the Electoral System". Election Resources on the Internet. Retrieved 2015-12-23. ↑ "Allocation of Seats in Congress". Election Resources on the Internet. Retrieved 2015-12-23. ↑ "Law governing electoral procedures". Retrieved 6 March 2011. ↑ "OSCE observers task force report on 2008 Spanish election" (PDF). Organisation for security and cooperation in Europe OSCE. Retrieved 6 March 2011. ↑ "OSCE observers task force report on 2004 Spanish election" (PDF). Organisation for security and cooperation in Europe, OSCE. Retrieved 6 August 2008.